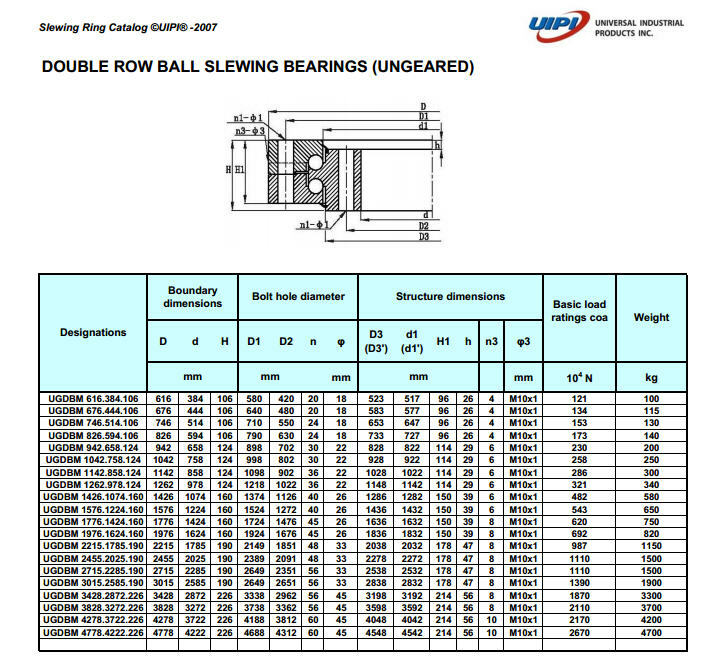 Universal Industrial Products, Inc. (UIPI) is a slewing bearing(slewing rings) manufacturer specializing in large diameter solutions. For over a decade, we have helped our local customers with bearing design and supply solutions that have allowed them to reduce costs and improve profitability. In order to maintain our competitive edge, UIPI started three joint ventures in China from 2006. Two of them are located in Luoyang , the other is located in Jiangyin. 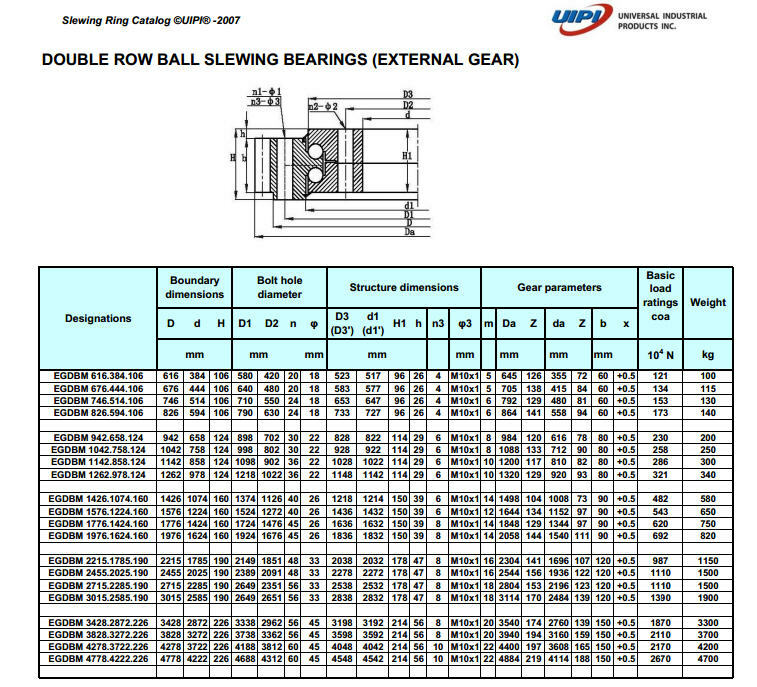 Which are one of the leading large-diameter slewing bearing(slewing rings) manufacturers in China. 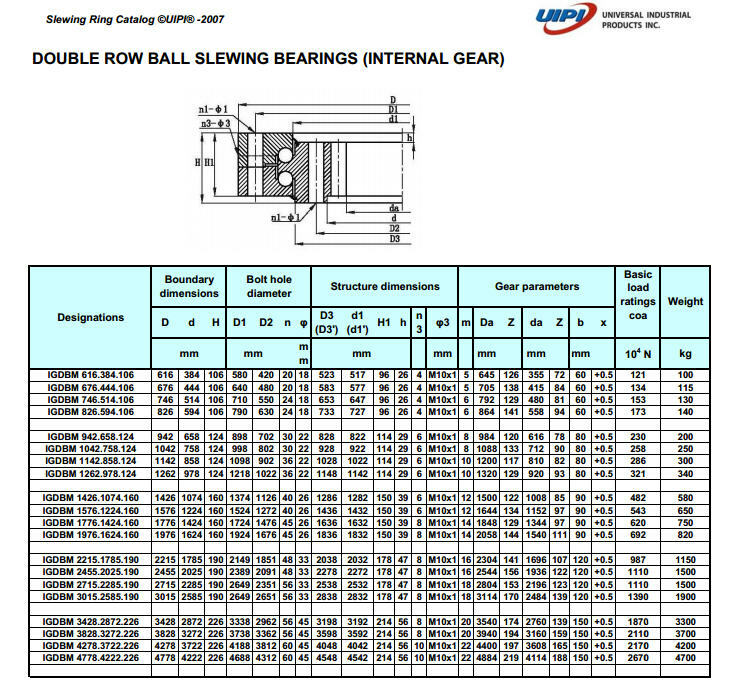 We have outstanding capability of large diameter slewing ring bearings for tunneling equipment, harbor and shipyard cranes, construction equipment, mobile cranes, offshore technology, tower cranes, turning machines, solar energy plants, ship deck cranes, railway cranes, man lifts, wind turbines, and more. Our ability to optimize the bearing design for your specific needs is unparalleled and we will deliver a solution at a fraction of traditional lead times.